What’s one of the symbols of Dublin city? If we think about Ireland we imagine the green Shamrock, but what is specific to Dublin? 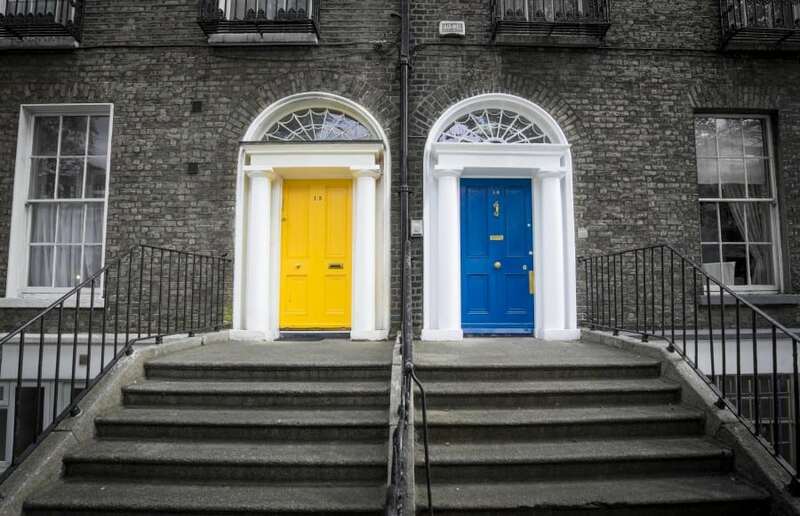 Ok…you can think about Guinness, famous around the world, but after you visit Dublin, for sure you’ll remember the colorful doors that you can see in the various Dublin houses around the city. It’s not just about the doors, I really love the style these houses have. If you go out of the city environment you can easily see all the houses with their small super-cute gardens. But when you live in the city centre, you probably cannot afford it since you won’t have that space and you’d probably live in an apartment building. But you can definitely have your colorful door! That’s a symbol of Dublin, or at least something that really fascinates tourist and foreigners in general. 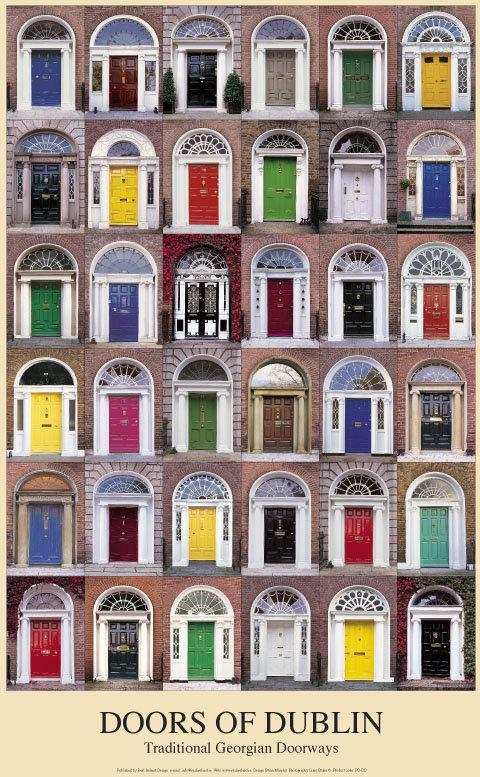 But why do Dubliners have colorful doors? Have you ever thought about it? I have, and I went looking for the reason in the internet. What I figured out is that, as all the typical things, there are a lot of “legend”. It actually started becoming an icon (symbol) when in the 1970s, a picture with the Georgian doors was used to promote Dublin in the Irish tourist office in New York. But when did people start painting their doors? Someone said that the very first one who painted his door was the writer George Moore since he lived next to another Writer, Oliver St John Gogarty, that always went back home drunk and went knocking on his door, thinking it to be his own door. Then, during the 18th and 19th centuries, Dublin was characterised by a uniform style due to building regulations, that made the house look like they were all the same. That’s why people started painting their doors, since it was the only way to distinguish their own house from the outside. 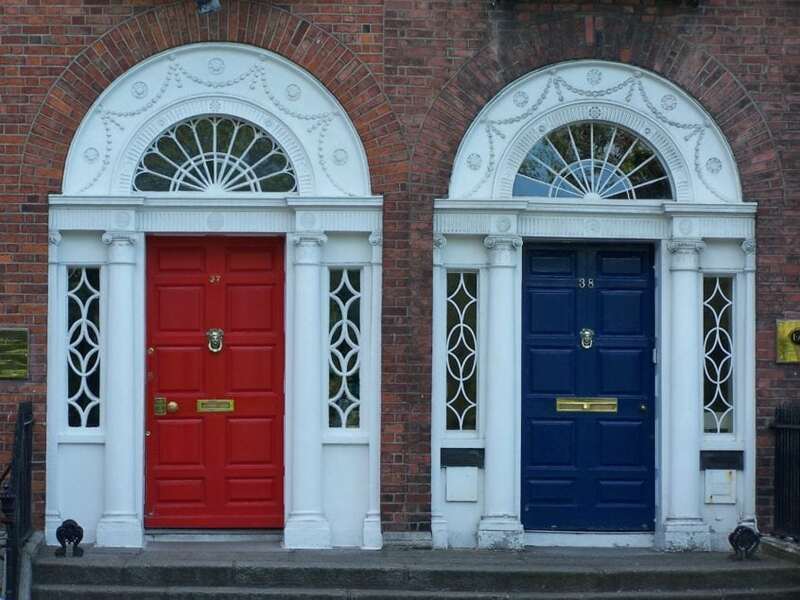 Whatever legend/story you want to believe in, you will remember the colorful doors as one of the symbols of Dublin and I’m pretty sure that almost all tourists have at least one photo they took at the charming Georgian doors when in Dublin.